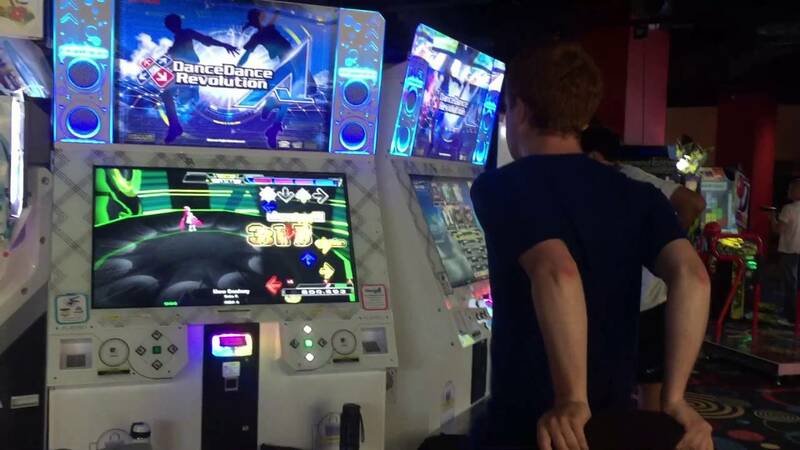 How do you get better at DDR? The short answer is play more. Play a LOT more. Much more than you think you should be playing. This advice sounds very simple and obvious, but there is much more to it than that. What exactly separates the very best from the rest? Were the best players simply gifted or talented with playing DDR? Was their path to success driven by unbridled passion and dedication? Or do they just have a lot of time on their hands? Actually, it involves all of that, but it has a lot less to do with being talented and more about consistency and the quality of practice. This concept is known as deliberate practice. A common view about expert-level players is that they have extraordinary abilities because they were simply born with natural talent. This is actually a very harmful view to hold. Have you ever thought that you weren’t cut out to do something due to a lack of talent? The idea of “natural talent” holds back so many people from their untapped potential. We all began at a beginner level; nobody starts out as an expert. Besides obvious genetic and physically debilitating differences, anyone can achieve expert abilities through being an expert at maintaining high-level practice and improving performance. Deliberate practice is a highly structured activity that is engaged solely on improving performance. It takes a lot of effort and it is not an inherently enjoyable activity. In order to see rapid, productive improvement in a skill, you will need to separate the idea of “fun” from practice and apply its principles towards any skill that you want to become an expert in. 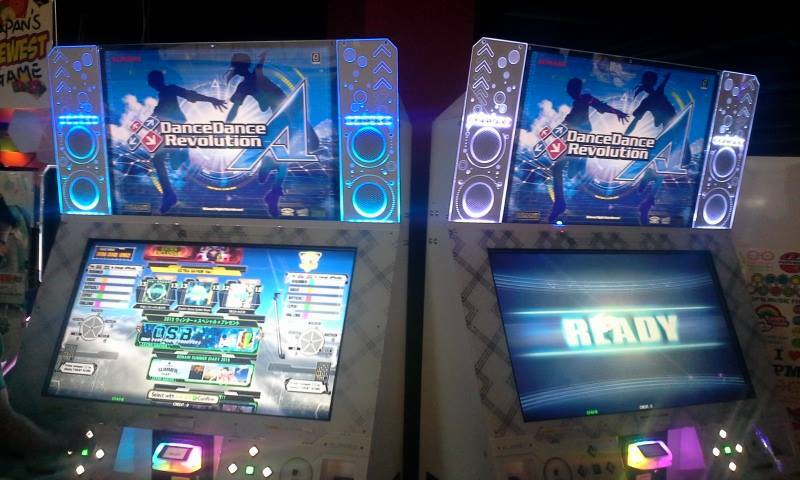 In this case, DDR. How do you practice deliberately? As a prerequisite, you must absolutely be 100% motivated and ready to make the investment in time and effort to improving your skills. Motivation is the number one constraint on expertise. Number two is discipline. Without them, you will not see any gains. Having the motivation and getting pumped to play is one thing, but having the discipline to act on that motivation is just as important. There’s more to practice than simply putting in the time. The quality of your practice determines how well you will learn and improve. These are four core components of deliberate practice that you must implement into your sessions in order to maximize your rate of improvement. This does not necessarily only apply to DDR; it can apply towards anything you want. This requires a full understanding of what you are currently capable of doing. Your goals should be attainable relative to your current skill level. This doesn’t mean that if you’re only just passing level 4s on Basic that you should play MAX 300 on Expert, and it also doesn’t mean that you should keep playing the same three songs over and over again because you know you can pass them. There may be a long term goal that you want to achieve. To get there, you will need to break that large long-term goal down into smaller components, and within those smaller components, you specify goals that will help you improve in each of those aspects. Repeat, repeat, and repeat the tasks that you need to do until you achieve your goal. As you meet those goals and continue improving, keep setting new goals. Was your goal to pass a song on Expert and you’d finally done it? Great! Now aim for a higher letter grade. Then try to full combo it. Then go for a AA. Shoot for a AAA next. Then finally go for that Perfect Full Combo. If you’re not stopping there, the next step is a Marvelous Full Combo. Maybe you need to work on a certain technique that you have trouble with? Repeat the motions for that technique until it becomes second nature to you. The wonderful thing about DDR is that there is always something to improve on, so you should never run out of goals to set for yourself. Always be pushing yourself. Don’t get sucked into playing the same charts that you already know. This the most common trap that many people fall into when they have reached a certain skill level. They become “good enough” and stay there for a long time because they believe that their skill is fine where it is, or they have plateaued from only playing charts that are comfortable for them. Stepping outside of your comfort zone forces your mind and body to adapt, and you adapt by continuously building upon previous knowledge. Humans have a tendency to seek stability, which is known as homeostasis. To expand your mental and physical limits, you must practice charts that are just outside of your skill range, however going too far out of your range may be more detrimental than helpful. Like an elastic band, you want to stretch yourself out as far as you can without breaking. Turn off autopilot and start intensely focusing on all the aspects of the game that matter. If your mind is only half there, barely paying attention and you’re just doing the basic movements without much thought, then that is a good way to slow down your progress. Putting in your best effort and strongly focusing on your performance will allow your mind and body to adapt. Pay close attention to your technique, the patterns, and your timing. You will start to develop a stronger mental representation of the game that will make gameplay easier for you later on. Your movements will be more optimized, you will recognize common patterns immediately, and your overall timing will improve. You will gain more specific music and chart knowledge the more you play while focused. Aimless, unfocused play without an objective will not help you improve. How will you know that what you are doing during practice is correct? Fortunately, DDR makes this easy with judgment grades. Out of all the judgments, a Marvelous is what you should always be aiming for. It is the absolute highest and most accurate judgment you can get in DDR and it means you are hitting a note directly on time. You may not always get a Marvelous, though. You may occasionally pick up Perfects, Greats and Goods. That’s OK, it will happen all the time. These judgments are there to tell you how accurate your steps are. If you get anything other than a Marvelous, it means there is room for improvement. Going back to focus, it is important to focus on your steps being as accurate as possible, and that means getting as many Marvelous grades as possible. You will eventually adapt and learn to step more accurately with less energy over time. Feedback from other players is valuable, specifically from other experts. It is important to consider the feedback of people who have already achieved a master-level skill. They have all went through what you are currently going through, so what better coaching can you get than from the players who have been-there-done-that? Little pieces of advice ranging from anything between how to posture yourself while playing to what songs and charts you should be playing will go a long way. There are many things that can get in the way of your practice. One of those things is time. Some of you may have a busy schedule, leaving you with very few hours to work with to get in any meaningful practice. It’s also easy to fall out of practice when it feels like getting to practice is inconvenient. This can only be solved with careful planning. Do everything that you possibly can to make it easy for you to practice. Some people have setups right at home, and some others have to travel for hours to get to the closest machine. Maybe there are long lines that make you spend more time not playing than actually playing. Planning a schedule along with exactly what you will be practicing will help you get the most out of your sessions. It’s very possible to design a routine that allows you to maximize the amount of practice in as little as one or two hours per day. Be careful to not spend too much time practicing, especially when you start feeling frustrated or when your body is no longer able to play to the best of its abilities. You can both mentally and physically burn yourself out quickly. No matter how much you progress by using deliberate practice, you should never lose sight of the fundamentals. Do not be afraid to go back to practicing the basics, because an expert should understand the fundamentals better than anyone else. ← Previous Previous post: Cyber Monday Deals!! !